Key Combinations Are Here!!! Over 9000 combos possible!! Presenting you Key Bindings Overhaul! 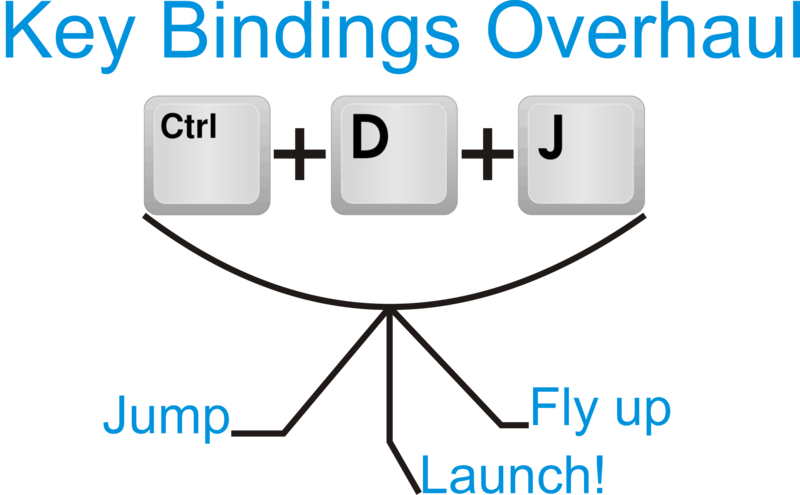 Bind as many keys to keybinding, as you can! 4) If you wish, you can configure to detect key presses while gui is opened. Allows walking while looking in your inventory for example! 1.2: Gui typing & API update! -Now you can switch if you want to keys to be detected when guis is opened or not!!! In order to use, drop downloaded jar in libs. More information can be found in jar. BTAM: 5 MOST POWERFULL THINGS IN MINECRAFT EVER! Store all your armor in 1 slot with Armor Sets! Now mobs are afraid of creepers once more: Avoid Exploding Creepers! All you tools in 1 slot? easy cheesy with tools compressor! SAY NO TO CONFLICTING BIOMES! Install anti id conflict and solve them in 5 mins! Key Combos Are Here! Presenting you Key Bindings Overhaul! Colourfull blocks - Color any block in any color!!! InvisiZones - Invisibility Made Simple. If you like my mods, your support is very appreciated and will speed me up improving my mods! Key Bindings Overhaul by elix_x is licensed under a Creative Commons Attribution-NonCommercial-NoDerivatives 4.0 International License. I grant exception for mod showcases: you can make video and monetize it (video) AND you need to redirect download to this page, you have my permission. I also grant exception for modpacks: you can use this mod in any modpack, in condition of non commercial purpose (no ad, adf.ly or other), but optional donations are fine. For other exceptions, you need to ask me. You can make mod showcase/tutorial about this mod and monetize it. You can make modpacks with this mod. You can share it on other places AS LONG AS IT IS IN NON COMMERCIAL PURPOSES! Check out all my mods here: Elix'x mods hub! Thanks! How do think: how i was "forced" to do this??? BTW, check out mod that i released yesterday too: here. I'll update thread tommorrow, will add todo, and faq...??? Do you have any questions about this mod??? I'm interested: who downloaded latest 15w14a snapshot??? Removed graphic settings... at least not Key bindings! Nearly completed! Only gui left! Just what I was looking for! Time to try it out! I'll fill you in on how it went! Thanks. And combos update is on the way!!! Okay, so i'll finish writing 1.1 this weekend, then testing and bug fixing! Any chance I can help test? I wanted to do Key Combos for a while since I got overloaded with mods. Ok. I'll pm you as soon as i'll finish it.